Apple really raised the bar with their Retina Macbook Pro. Announced late last year, this was the first laptop to bring over Apple’s famed Retina Display over to conventional computers. The idea behind Retina Display is that the pixel density is so high that the human eye can not distinguish an individual pixel. Despite its technological advancements, reports from supply chain sources indicate that demand for Retina Macbook Pro has been dipping primarily because prospective customers think that it is too expensive. Toshiba is now stepping in to this arena with their KIRAbook, which hopes to give Apple’s laptop a run for its money. 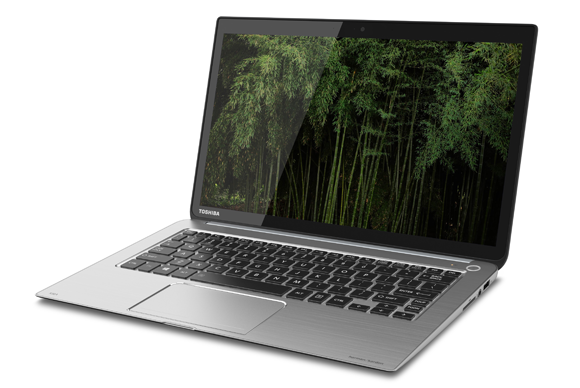 Toshiba KIRAbook is actually the first high resolution laptop for Windows platform. It has a 13.3 inch touchscreen with a whopping 2560 x 1440 resolution with a pixel density of 221. Toshiba’s display is pretty close to the 13″ Retina Macbook Pro, which touts a 2560 x 1600 resolution with 227 pixels density, and don’t forget the fact that its actually a touchscreen display. 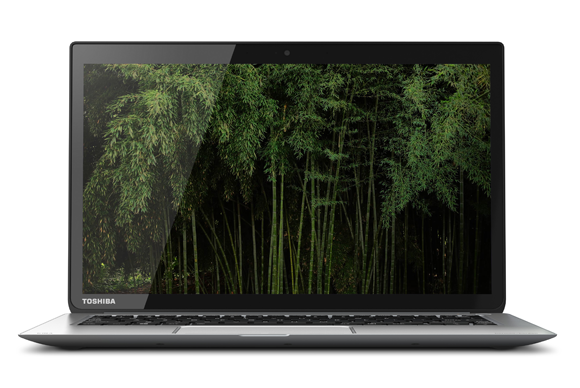 The only other laptop with a high resolution screen is the Google Chromebook Pixel, which has 239 pixel density, so safe to say, KIRAbook is the first product for Windows afficionados who like high resolution displays. 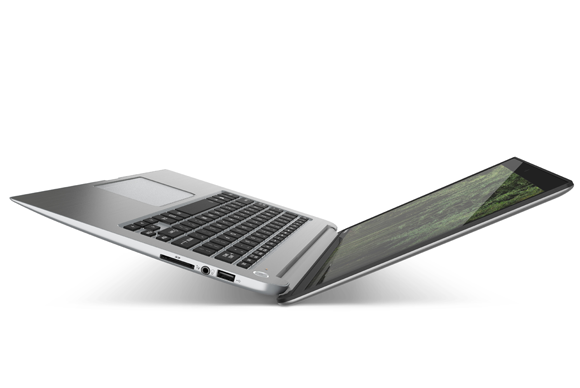 Screen is not the only avenue where KIRAbook goes head to head with the Retina Macbook Pro. It has superb build quality, only 0.7 inches thick and weighing 2.6 pounds. Harmon Kardon speakers are on board for superb sound and a backlit keyboard is there by default. It has a Core i5 processor with 8GB of RAM and a 256GB SSD. Price was one avenue where it would have been better if the KIRAbook didn’t match the Retina Macbook Pro, but unfortunately it does. The model with base configuration, processor still unknown, will set you back $1,600. The one with the Core i5 carries a price tag of $1,800 and if you’re will to drop $2,000 you can have the Core i7 processor.